If you own a restaurant, office, housing development, commercial store or any other commercial building that is not serviced by the city sewage system, you will need to have a a large-capacity commercial septic system that differs from septic systems designed for a personal residence. Commercial septic systems are designed to handle a larger amount of waste than residential systems. It is imperative that these systems can handle the large volume and variety of waste that commercial buildings inevitably produce. A restaurant, for example, will need a septic system that can handle waste such as food, oils, fats, greases, disinfectants and much more. A properly designed and installed system will be able to handle this type of waste to avoid damaging the drain field. 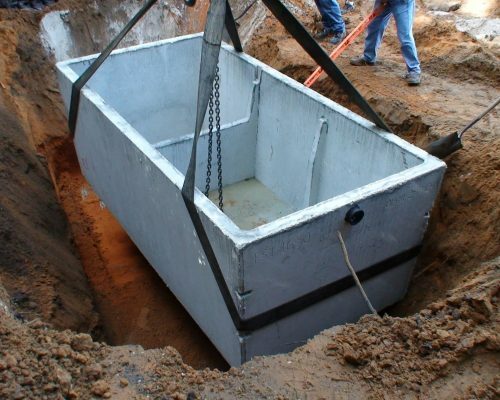 At West Coast Sanitation, our well-trained technicians have years of experience installing all types of septic systems. We will guide you through all the possible choices and ensure that the project is done efficiently and within your budget. For commercial septic system installations, you can count on West Coast Sanitation 24/7! Contact us today for any questions! Every commercial septic tank installation project starts with an accurate evaluation of the surroundings. 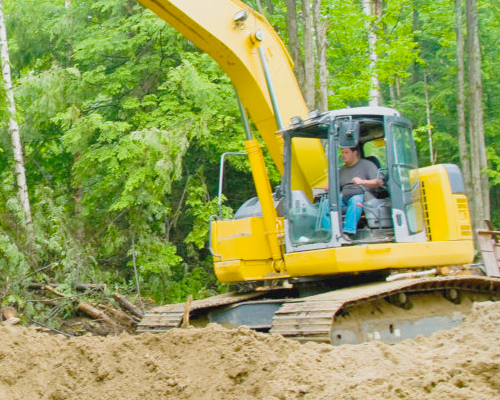 Your site needs to meet your local government permit requirements for septic systems, especially if you are planning on remodeling or selling the property involved. The specific details involved with requirements related to zoning and the environment allows no room for error. At West Coast Sanitation, we will collect the necessary data on-site quickly and accurately, ensuring quality results that we know we can depend on later. When a commercial septic system fails, the cost of repairs and environmental cleanup can be mind-boggling. That is why it is necessary that the appropriate system is correctly installed and maintained. As a business owner, you will need to understand how often the system needs to be serviced and cleaned and make certain this schedule is followed.